Around 700 migrants who were rescued near the Libyan coast on Saturday have been brought to Sicily by Italian coastguards, They were just some of at least 2,000 people helped to safety since Friday by a variety of vessels including merchant ships following emergency calls from their packed rubber boats. The rescue operation closely follows the deaths last week of more than 300 people who were trying to make the crossing to Europe. An improvement in the weather last week appears to have encouraged migrants to make the perilous journey from North Africa which the United Nations refugee agency (UNHCR) says claimed the lives of 3,500 people last year. 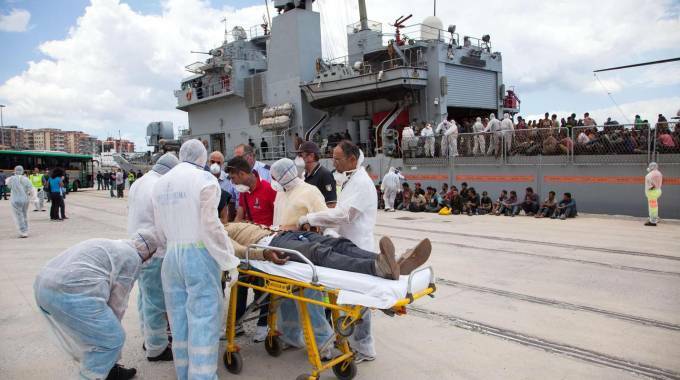 Italy is becoming increasingly alarmed at the chaos in Libya which is also sparking a rise in migrants who are willing to try and cross the narrow stretch of the Mediterranean between the two countries.